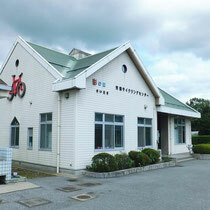 ﻿After about half an hour ride on our shuttle from JR Kitakonosu Station, you get to Gyoda Cycle Center near (closed on Tuesday) Tone Barrage. 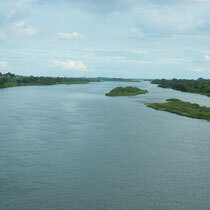 Tone River has the most largest drainage area in Japan and is the most southern river in Japan that salmons going upstream from sea for spawning are observed. 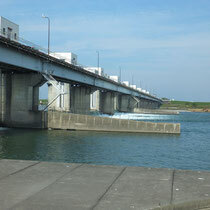 You can observe salmons in October to December at observation room of the barrage. 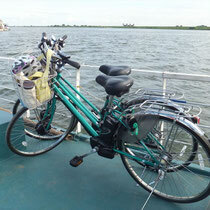 The bike tour starts from the Cycle Center and takes bike road on the river dike toward upstream direction. 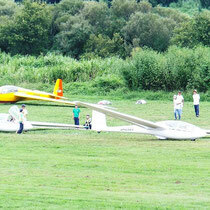 There are two glider runways on the wide river-terrace along the bike road. 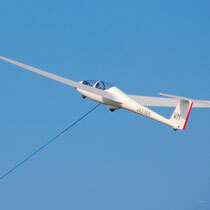 It is a spectacular to see gliders rising at steep angle pulled by wire winch, making wind noise. You might stop for a while to see gliders gone into blue sky and to have far view of range of Nikko mountains, higher than 2,500 meters to northern direction. 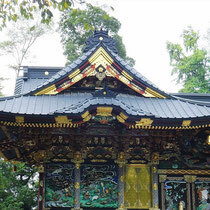 Near the turning point of the bike tour course, let's visit brilliant coloring temple of National Treasure, called "Shodenzan" or Saitama Nikko. 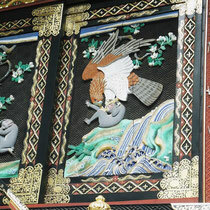 The carvings of a hawk and a monkey were made by a craftsman, who made famous carvings at Nikko Toshogu Shrine. 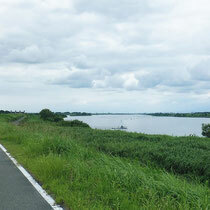 After visiting Shodenzan, you take 800 meter long bridge over Tone River. The bridge is for bikes and walkers only, so it is quite safe to pass. After this bridge, you take downstream direction along with Tone River. 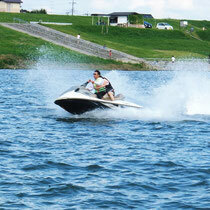 There is a ferryboat wharf at Akaiwa area to take about 10 minutes boat trip crossing the Tone River, which is free of charge. 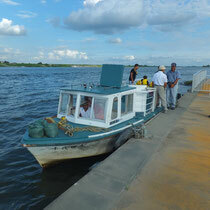 Unless it is a strong windy day or water level of the river is over limit, the boat is operated every day from 8:30 a.m. to 4:00 p.m. Once you cross the Tone River, opposite side of the river is just runway of glider. Soon you will return to the stating point. 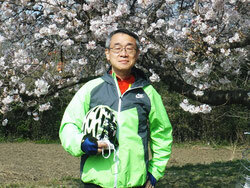 I am Ike, an English tour guide and a hunter of view spots in Japanese four seasons. 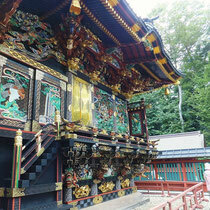 In my blog, let me show you beautiful Japanese seasonal views and unique stories that I find during my guided tours.